The Rav who came here from Podolsk, Ukraine was a descendant among others of Rebbe Yisroel Ball Shem Tov and his grandson Rebbe Moshe Chaim Ephraim of Sudilkov, better known as the Degel Machaneh Ephraim, Rebbe Yeva of Ostrog, and Rebbe Menachem Mendel of Bahr. 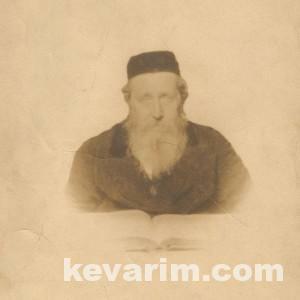 Rav Yevah of Ostroh is one of the Chasidishe Rebbes. Goodman & Guttman are the same name!!!!!! I see you caved in to the pressure!!!!!!!!!!!!! Yoy are to “fest”… so he had to cave in. BTW There is a photo of Rabbi Guttman in “Malchus Chernobyl”. 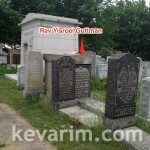 Any idea how he was an einikel of Rav Yaevi? And how he was an einikel of the Baal shem tov you do know? Rav Yeva”s Real name was Yakov Yosef ben Yehuda Leib M’Ostraha. He names his Sefer “Rav Yevei”. 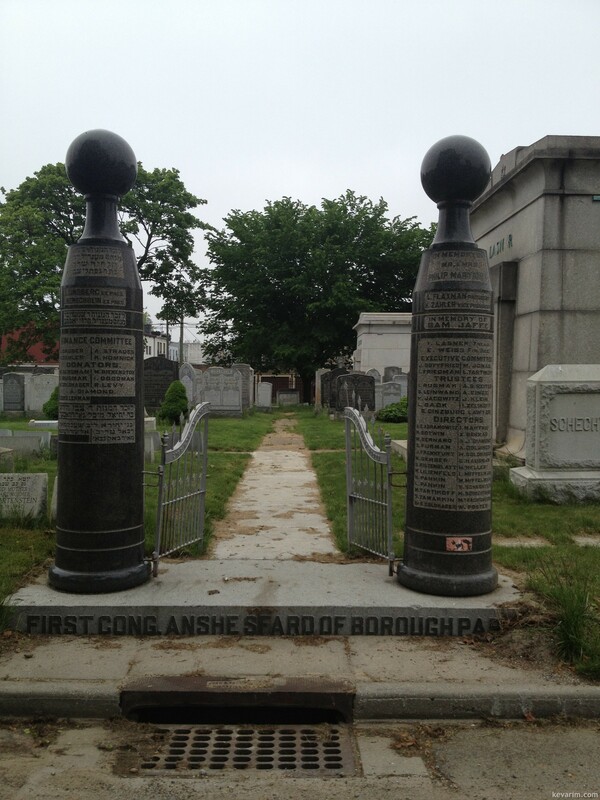 Does anyone have a picture of the grave of his Rebetzin? Yisroel Guttman was my great great uncle. He was the son of Rabbi Dov Ber Guttman from Sadilkov and grandson of Rabbi Yisroel Guttman, the latter being on his father’s side a grandson of Rabbi David HaLevi Ish Horowitz (son-in-law of Degel Mahne Efraim) and on his mother’s side the grandson of Rabbi Avraham of Khvastov, who was the son-in-law of the Chernobyler Rebbe Menahem Nahum. 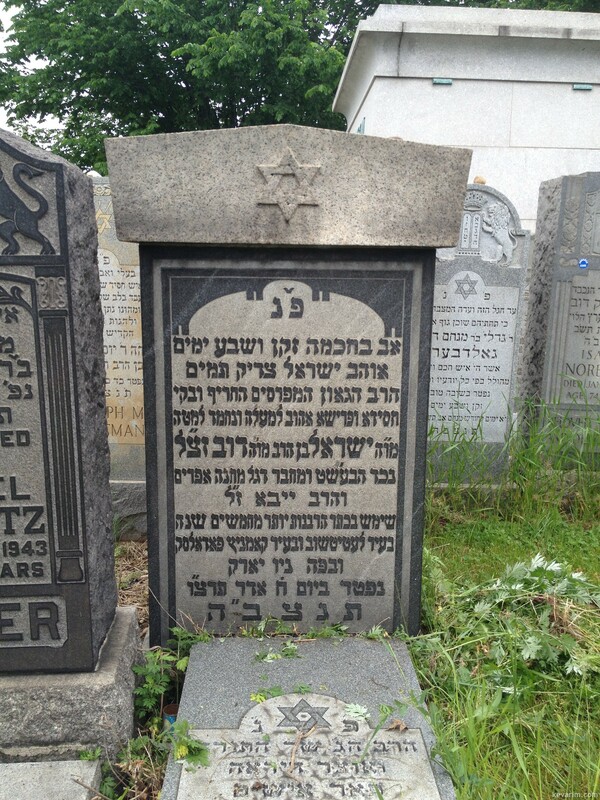 Rabbi Moshe Tzvi Rabinowitz whose kever is on this site was a nephew of Yisroel Guttman. Correction/clarification – Rabbi Moshe Tzvi Rabinowitz was orphaned from his mother at a young age. His father remarried to Bracha Guttman, sister of Rabbi Yisroel. I’m 11th generation of Baal Shem Tov via daughter Oudl and grandson Moshe Haim Ephraim Ashkenazy. Etel-daughter of Moshe Haim Ephraim married David Halevy Horovitz ( descendant of the Shlah). One of their children was Rivka Reizl who married Avraham Leib Guttman in Sadilkov. 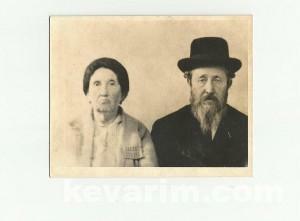 Another one of their children was Yaacov Horovitz ( my ancestor). He had a son Avraham Dov Ber Halevy who changed his surname from Horovitz to Rabinovich. I don’t know the reaon. Perhaps there is some connection to Moshe Tzvi Rabinovich? I know that avraham dov halevy rebinovich had a son natan neta rabinovich who livec in berdichev. What were the names of moshe tzvi rabinovich’s parents? I’m descendant of Etel ( daughter of Hadegel) and David Halevy Horovitz. they had a son Yaacov on whom nothing is known. His sister was Rivka-Reizl who married Avraham Leib Gutman in Sadilkov. We know Yaacov Horovit had a son Avraham Dov Ber who changed name from Horovitz to Rabinovich. Can he be connected to Moshe Zvi Rabinovich mentionned by sba? I am trying to complete the link for my great grandmother Sara Dvora Weintraub. She was a descendent from the Baal Shem Tov and Chernoblyer Rav. Her mother was Tzippora Gutman (married Chaim Mordechai Weintraub)who was the daughter of Devora Guttman (Twersky) who was married to Yisroel Gutman. 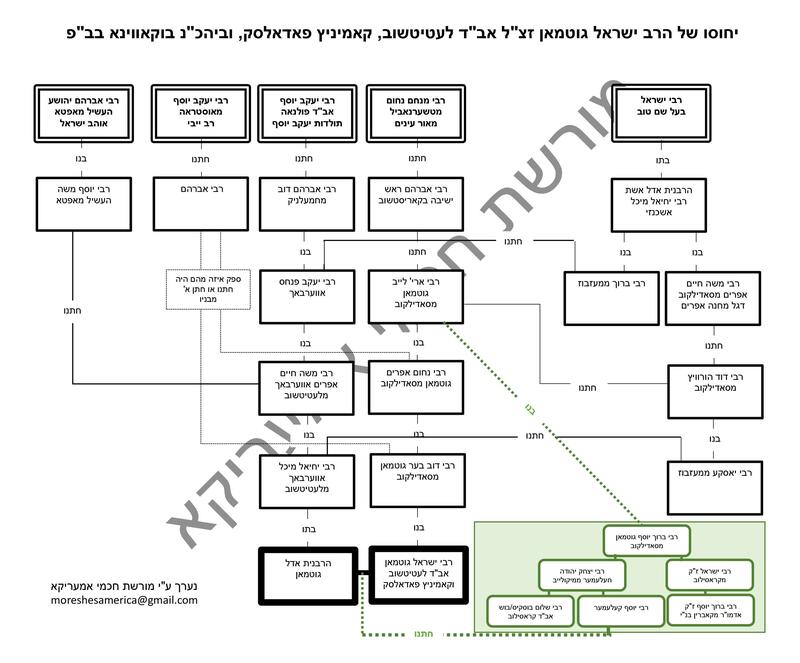 Does anyone have this as a connection to this Yisroel Guttman. Rabbi Yisroel Guttman was a grandson of Rabbi Avraham of Karischov thru his ‘father’s’ side, not his mother’s side as you mentioned. 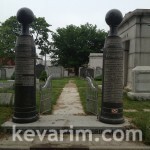 Rabbi Avraham of Koristchov last name was Guttman. His son Rabbi Arie Leib Guttman was a son in law of Rabbi Dovid Horowitz, son in law of the Degel of Sdilkov, therefore all his descendents are considered einiklech of the Bal Shem Tov & Rabbi Nachum M’Chernobil. What was Chaim Mordechai Weintraub’s father’s name? If it was Gershon Munish, then you have it a little wrong. Rabbi Chaim Mordechai son of Gershon Munish Weintraub was a son in law of Rabbi Menachem Munish Margulis, who was a brother in law of Rabbi Avraham Twersky. the Trisker Magid. Yes, Chaim Mordechai is the son of Gershon Munish Weintraub (as was my great grandfather Avraham Tzvi). Gershon Munish’s father Menachem Mendel was married to Hadas Devora the daughter of Rabbi Menachem Munish Marguiles. Chaim Mordechai was married to Tziporah Gutman who we know is from the Baal Shem Tov but I am trying to find out how. Her mother’s name was Batya Tzvia (not Devora as I posted before) and I am trying to see if perhaps she was married to Rav Yisroel Gutman. Do you know the name of R’ Yisroel’s wife? 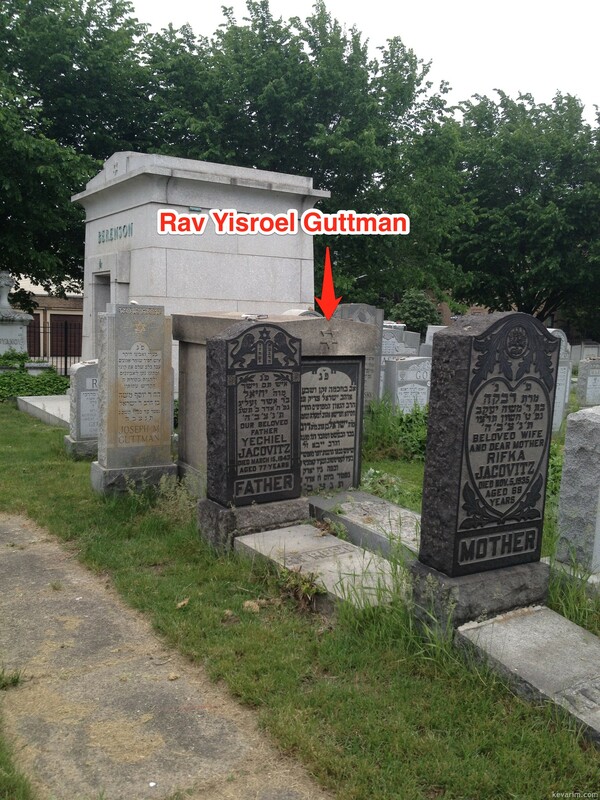 Udel was the Rebetzin of Rabbi Yisroel Guttman of Yassi or Rabbi Yisroel Guttman the grandson? If I am not mistaken, Rabbi Yosef Kelemer was Rabbi Yisroel Guttman’s son-in-law. If so, what was the name of Rabbi Guttman’s daughter who married Rabbi Kelemer? Do you know the name of the Rebetzin of Rabbi Yisroel Guttman of Yassi? Could it be Batya Tzivia? Who says that R’ Dov – father of R’ Yisroel Guttman – was the son of R’ Yisroel Guttman of Iassi? R’ Yisroel Gutman of Kamenitz was born 5618, so he is definitely not a grandson of R’ Yisroel Gutman of Yassi who was nifter 5654. I’m not sure I follow. 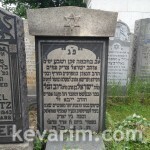 It seems possible that R’ Yisroel Gutman of Kamenitz was 36 years old when his grandfather died? 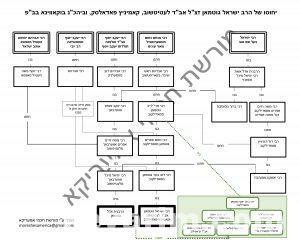 Is there any record of R’ Yisroel Gutman of Yassi’s wife’s name and if he had a daughter named Tzipporah (name of my great great grandmother who was the daughter of a Yisroel Guttman and descendant of Chernolber Rav and Baal Shem Tov? David Halevy Horovitz ( descendant of SHLA) and his wife Ethel (daugther of HEDEGEL) had a son Yaacov Horovitz-who was, therefore brother of Rivka Reizl wife of Arieh Leib Gutman. Does anyone has information about this Yaacov Horovitz? I know he had a son Avraham Dov Beer who changed his surname to Rabinovich. David Halevy Horivitz ( son in law of Hadegel) and his wife Ethel, in addition to Rivka Reizl who married Arie Leib Gutman in Sadilkov?